Welcome to the 21 Day Productivity Challenge for 2012. This is a continuation of the challenge I did in 2011, and this time it is meant for the advanced beginner or intermediate online marketer. 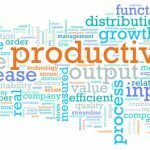 If you are still at the very beginning of getting your online business started, take a look at the 21 Days of Productivity I did in 2011 to see if that is more suitable for your needs right now. You can listen to the teleseminar I did to launch this challenge here. Each day, for the next 21 days, I will add to this post to get you moving in the direction of credibility, visibility, and profitability. This will require hard work and dedication on your part. Building a business is not easy, but it is based on simple steps that almost anyone can follow. Be sure to always ask yourself if the activities you are involved with are moving you closer to your goals, further away, or keeping you right where you are in your business. Day 1 – Take a look at the book list I have prepared. Start reading the first book on the list, The 10X Rule: The Only Difference Between Success and Failure by Grant Cardone, and take notes on what you are reading. I have found that reading business and marketing books by authors who are wildly successful has helped me to see things from a new perspective. You will be reading these books over the next few months. Continue to read a new book each week for the remainder of 2012. Write a review of this first book – The 10X Rule by Grant Cardone – on your main blog after you have finished reading it. Update your Facebook status by talking about the book, and use your affiliate link to recommend it to your Facebook friends and subscribers. Look at the stats from your main blog (Google Analytics is best for this) to see how much traffic you are getting and where it is coming from. You can only improve what you have measured. 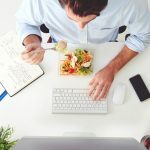 Leave a comment on this post to state your intention to take part in this 21 Day Productivity Challenge, including a link to your blog so that we may take a look. Day 2 – Make sure you have left a comment here to indicate your intent to be a part of the challenge. Being able to follow a simple instruction is crucial to your success. Write two articles on your topic and submit them to one of the article directories. You will be using these articles in the next few days to create a short report. Send an email to your list that includes a link to one of your products or to an affiliate product. Day 3 – Schedule a free teleseminar to connect with your target market. Allowing people to hear your voice is the next best thing to meeting them in person. Without exception, all of my students who are now at six figures a year and more started hosting their own calls and experienced huge results. I use the Instant Teleseminar service for this so that my files are all hosted by them. Write a blog post using a keyword-rich phrase in the title. Make sure this post will appear on your Facebook wall by connecting with the Networked Blogs application there. Also, make sure you have your blog set up to tweet your posts. This type of automation saves your time and extends your reach. Make an outline for a $97 product or course you can create during this 21 Day Challenge. This should be one that will be evergreen so that you may sell it for the next several years. We repurpose everything we write or say to make our content creation pay off in a BIG way. Visit the blogs of those who have left a comment here. This is an excellent way to connect with other people who are taking action to build their online businesses. Leave a comment on one of their posts and join their list if their topic is of interest to you. Join Stumble Upon (stumbleupon.com). We will be using this site to reach even more people. Day 4 – Choose a paid forum where you will connect with like-minded people. This has been extremely helpful, and I continue to be a part of three paid forums. The one I recommend to all of my coaching students is the Earn 1K A Day forum founded by Dennis Becker. I have seen more JVs and other opportunities here than in any forum, and Dennis also gives us so many courses and products to download on a regular basis. Find at least five other blogs in your niche and connect with the owners. Leave a comment on each one and make sure the blog owner knows who you are. In a few days you will be contacting them to ask about writing and receiving guest blog posts. This is an excellent way to drive targeted traffic to your site to build your list. Write an article and submit it to the article directories. You will use this article, along with the ones you wrote on Day 2 to create a short report tomorrow. Find three affiliate products that you will promote in your short report. Make sure to check your links to see that they go where you have intended. Day 5 – Today you’re going to write your short report. I write one of these at least once a month, and they serve as the basis for my marketing funnel. 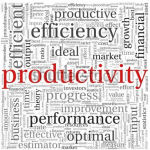 Use the articles you have written since starting this Productivity Challenge to get started with your report. I write everything in Word, so begin by doing a copy/paste of what you have written. 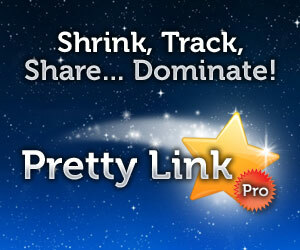 You can also use PLR (private label rights) for this. I buy much of my PLR from Nicole Dean’s site and also from Melissa Ingold because of the consistently high quality of the writing. Another technique to write your short reports more quickly is to search for articles written by the people whose products you are recommending. Here is an example of one of the short reports I wrote recently in this way. Before you get started with this, think about the two or three products, either your own or affiliate products, that you will be promoting here. The idea is to write about a specific area of your niche that your target audience is interested in learning more about. The more detailed and specific your report, the better it will work to increase your visibility, credibility, and profitability over time. The goal is to write a short report that is approximately seven to fifteen pages in length. Use a Sans Serif font, size 11, for the body of the report and size 12 or 14 for the subheadings. Spend as much time as you need with this is order to create a report that represents you well to your prospects and clients. You want people to be ‘wowed’ by what you are giving away for free so that they will have complete confidence in your paid products. You may also want to take a look at my complete training on how to write short reports. Upload your report to your server using a free FTP (file transfer protocol) program such as FileZilla. Rename the file so that it isn’t too long. Tomorrow you will start distributing your report everywhere. Day 6 – Today’s the day to promote and share your short report. I am able to do this easily by sending my reports out to my list. 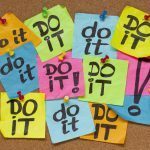 If list building is something you’ve been meaning to do more of, please join the List Building Challenge to get going quickly for just a few dollars. What other suggestions do you have for distributing your short reports? Day 7 – Today I’d like for you to Google your name in quotes (like “connie ragen green”) to see what others will find when they search for you online. This is now a common practice for those who need information on us before doing business further with us. The very first time, that I am aware of, that I was Googled was when I purchased my home in 2006. The mortgage company wanted to make sure what I was telling them was congruent with my online information. Today this is commonplace. You want to make sure that you are seen in the light that you intend. Your reputation and good name are invaluable to your success. Have you finished reading the first book on the Productivity Book List? It’s time to move on to another book as soon as possible. I hope you are understanding the benefits of reading a business book each day for thirty minutes or so. It will help to expand your thinking and get your mind ready for innovation and productive action. Today we’re going back to the outline you started creating for your $97 product. Start with your original idea to create something that your target market wants from you. Remember that once you have mastered something that you’ve made even a few hundred dollars from you can expand upon it and teach it to others to earn six figures and more. I’ve done this in many areas, including article marketing, marketing for small businesses, affiliate marketing, setting up mini-sites, and more. 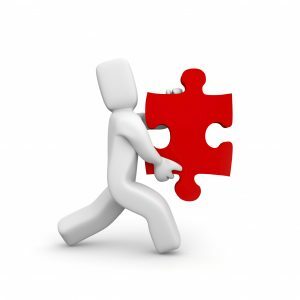 Choose just one area where you’ve had some success and put together a product to share your knowledge with others. Complete your outline so that you’ll know every point you want to include in your product. You may need to do some research to find out more information. You’ll be starting with an audio or webinar product to keep it simple. This can always be expanded upon in the future. My product during this time will be a webinar training on how to install and set up the Clickbank Press plugin. Right now I’m completing my outline to include every detail of what I want to teach during the one hour webinar. Don’t overthink this process. Choose an area where you are knowledgeable and confident. You can do it – I believe in you! Day 8 – Today I want you to think more long-term about your business. I honestly believe that you can do business on the Internet for the remainder of your working life. This will enable you to live the life you choose, while still earning an excellent living and having the ability to make a difference in other people’s lives. One of the ways I have skyrocketed my success is by building strong relationships with others. On Day 2 of this Productivity Challenge you made a list of the thought leaders in your niche. You connected with one of these people at that time. Now I want you to connect with 5 to 10 people who are successful and have a similar belief system. Choose two ways to contact each person. This can be done with email, snail mail, by phone, on social media, by leaving a comment on their blog, or by attending an event where they will be. Be creative with this. Doing this took me far out of my comfort zone during my first couple of years online, but once I started making it a part of my marketing plan it felt good to connect with others. You want to ask these people from your list if you may interview them. Make the initial contact and then lead up to asking them for the interview. You will find that most people are open to being interviewed in this way. Be professional and remember that everyone can remember being new to this business at some point in the past. Set up the interviews and leave a comment here to tell us how it is going. We are all here to help each other. Email your list with an offer. People will unsubscribe each time you send out an email, so get used to it early on. Post to your blog using a keyword-rich title. 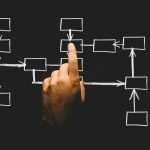 Look over your product outline to see if you want to change or add anything. Day 9 – Today is all about creating your product. Keep it simple by creating something using audio and video. You may also want to write, but keep that to a minimum to save time. Your prospect is looking for information they can consume quickly. My product is a short webinar on how to install and set up the CB Press plugin to create a Marketplace on WordPress sites. I have decided to charge $97 for this if they already have the plugin, and $47 if they purchase the plugin through my affiliate link. I need help creating my product so I have reached out to others who are more knowledgeable than I am in this area. I have also decided to give as a bonus one of my affiliate marketing reports. You want your bonus to be something that makes sense for the product you are creating. The bonus you offer can be from someone else or even be PLR. Keep this as simple as possible. Spend as much time as you need to create your product today. It will be hard work that you’ll be rewarded for in the future. Day 10 – Now it’s time to write the sales letter for your product. Don’t be intimidated by this part of the process. Start slowly by writing a few headlines and bullet points. Hopefully, you’ve already started a swipe file of the sales letters that have compelled you to buy products and services online. Look through those as you write this sales letter, being careful not to copy any of it, but just to get some ideas. Here is an excellent example of a sales letter from copywriter Geoff Hoff. Write a few bullet points that tell the benefits of what you will be selling. Features tell what a product is; benefits tell what it does. We buy benefits, not features, so make sure you understand the difference between the two. Include your story in the sales copy to connect further with your target audience. We all like to know who we are buying from and why they created the product. Ask people who have previously purchased from you or worked with you to give you a testimonial that you can feature in your sales letter. If you are brand new to the business use quotes from well-known people that relate to your topic. Writing web sales copy gets easier over time; the most important thing is to get started so you’ll have something to improve upon. When you are finished let it sit for at least one full day before going back to reread and make changes. Day 11 – It’s back to reading and writing today. These are the most valuable activities you will be engaged in, so make sure you are giving them the time they deserve. Go back to the Productivity Book List and choose another book to start reading. Hopefully by now you are seeing the value in this activity. Write a blog post about what you have learned by going through this challenge and trackback to this post. When I see that come through I will visit your blog and leave a comment. Go over to StumbleUpon and stumble this post. I’ll do the same for yours. Collaboration and building relationships will enable you to grow your business exponentially faster than if you attempt to do it alone. Embrace the idea of connecting with others for everyone’s benefit. Day 12 – Take a look at your new product and your sales letter for that product. Today is the day for you to make any necessary changes. By giving yourself at least a day to ‘sleep’ on what you have created you will be much more objective when you go through it today. Start writing the email messages you will use to promote this new product in the coming days. Also write some autoresponder messages for those who purchase from you. The purchase is the beginning of a whole new relationship with your clients and you want to make sure they know that you are there for them. Write an article and submit it to the article directories. If you are writing at least 8 articles each month at this point sign up for the paid article distribution service I have been using since 2008 – Submit Your Article. Blogging – Your blog is your ‘home’ on the Internet, so make sure you are posting regularly and have an opt-in form in the upper right-hand corner. You also want to include your picture and write something about yourself so that people know exactly who they are learning from when they visit your site. Blogging increases your visibility. Article Marketing – This is how to reach out to the world to build your credibility and expertise in your niche topic. You can take a look at my articles here. Teleseminars – Allowing others to hear your voice is the next best thing to meeting them in person. I hosted free weekly teleseminars for 18 months, and continue to do this twice a month now. This is the teleseminar service I recommend. Social Media – This did not exist when I was starting out in 2006. Now you have the opportunity to reach people around the world very easily. I use social media to build my brand and to allow others to peek inside of my world from time to time. Affiliate Marketing – Even if you have already started to create your own products, you will most likely never have enough products to build your business to the level you would like. I am now considered to be a ‘super affiliate’ in the areas of Internet marketing and information marketing. I only recommend what I use and love, and this continues to account for about 50% of my income. I have an affiliate marketing training course if you would like to know more. I have found that my students who engage in each of these activities each week are the most successful in the shortest amount of time. If you leave out even one prong your foundation may come crashing down around you. Take a close look at what you are doing each week to see where you have room for improvement. Day 14 – Today is a work day. Write a blog post, turn it into an article, start a new short report, schedule a teleseminar, send an email to your list, spend 15 minutes on social media, contact three people you can interview, and find one new affiliate product to promote. This used to take me weeks to accomplish, but now I can do it in a four hour workday. See how long it takes you so you can get an idea of how productive you really are. The idea is to increase your output to allow time for more creative thinking. That’s the key to increasing your income steadily over time. Your Blog – Make sure you are using these plugins – WordPress SEO by Yoast, Google Analytics, for WordPress Robots Meta, and Broken Link Checker to turn your site into one that will get the attention of the search engines and give you lots of options. Take a look at your categories to see that they are keyword-rich. Day 16 – Let’s talk about eBooks. When I was first online in 2006 eBooks were very popular. During 2007 and 2008 I helped people to write and market their eBooks based on my experience helping hundreds of young people write while I was a public school teacher. Then I moved on to teaching Internet marketing in general and eBooks began to fade away. In 2011 this all changed, as more and more people began writing eBooks and selling them on both their own websites and on Amazon, either in paperback, for the Kindle, or both. Even I have quite a few books available online on a variety of topics. My recommendation is that you spend the time to learn to write and market your own eBooks for residual income in the years to come. The very best training on this subject is from my friend Jim Edwards. At the beginning of 2012 he released the all new 2.0 version of his 7 Day eBook program for only $29. This deserves your time and investment as you build your online marketing empire. This skill will make it possible for you to always have content to repurpose and products to sell on the Internet. Day 17 – The two magic words for today are Guest Blogging! 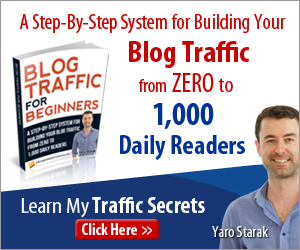 This is the most powerful way to connect with others and drive quality traffic to your blog. Find 10 bloggers who blog about a topic closely related to yours. Contact them to see if they are interested in exchanging one or two posts with you. Each person writes posts for the other that will appear at some point in the future. This works especially well if you are going to be away and still want quality posts to appear for your readers. Each person picks up new readers and forms a relationship with the other person. Nicole Dean wrote an excellent and inexpensive guide on guest blogging that I highly recommend if you’re ready to jump in with this marketing strategy. Day 18 – Are you still reading for 30 minutes each day? This practice has given me an education in business and will make everything you do in your online business make more sense in the long run. The reading list for this challenge is here. Let’s talk about traffic. You must have a steady stream of prospects visiting your blog and optin pages every day. I drive targeted traffic using article marketing, SEO (search engine optimization), short reports, teleseminars, podcasts, and publishing books on Kindle. Take a closer look at what you are doing on a regular basis to drive traffic to your sites, and add something new from my list as part of this challenge. Day 19 – Today I’d like for you to daydream. That’s right; spend time all day today thinking about your vision for the business you are creating on the Internet. We all get so caught up with all of the tasks and activities that need to be accomplished before we can go to sleep at night, we seem to forget that the idea for our business usually started out with a dream. 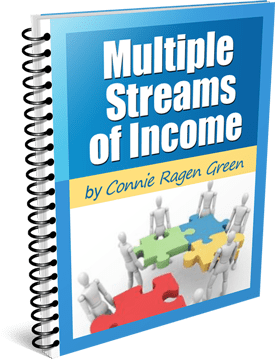 My dream was to be able to work from home and earn just as must income as I did by working at two jobs and being away from home 12 to 14 hours each day, six or seven days a week. Over time that dream expanded to include being able to get involved with charities, to travel the world, and to write books. What is your dream? Make some notes, journal, or draw pictures if that helps you to remember exactly why you made the decision to start an online business in the first place. Share your dream in a comment here so that we can enjoy your thoughts and goals. Tomorrow and the next day, our last two days of this challenge, will be the days for turning your dreams into a plan that will help you to make this a reality sooner than you ever thought possible. Day 20 – Now it’s time to get back to the work of building your business as an entrepreneur. Make sure that you have at least five pages online where your prospects can opt in to your permission based list. Set these up using WordPress, or have your tech person do it for you. Create short reports as free giveaways for these sites. Combine the short reports into eBooks to sell online and books to sell on Amazon and Kindle. Be visible. This means that your target market needs to see you everywhere, including other people’s blogs, social media groups, at live events, in the article directories, and in the search engines. I’ll share more about this tomorrow. For now, Google yourself again and see where you currently stand for your name and for your primary keywords. The competition is stiffer than ever as we move forward on the Internet. You must stand out and let others know who you are and what you have to add to the ongoing conversation in your niche market. This way I know where I am, what I still need to do, and how long to schedule for working each day. My ‘prime time‘ is between 6:30 and 10 each morning, and my goal is to complete all of my writing and other pertinent tasks during that time. I also keep a marketing calendar so I’ll know who and what I am recommending to my community on a regular basis. I hope you will continue to work as productively as you have during this challenge. Be sure to leave a comment to let us know what you are working on and how we can help you to further achieve your goals. Congratulations on all you have accomplished over the past 21 days! You may download this entire 21 Day Productivity Challenge as a PDF here. Hi Connie – I loved your challenge from last year and can’t wait to continue it this year too! OK — I’m in for the challenge. As an online business manager who blogs for my clients — I have a huge problem with putting the good stuff on their blog – and neglecting my own 🙂 Need some help getting my own stuff up to snuff. I just got the first book and uploaded it to my iphone — review coming soon. My (not updated in forever) blog is http://tametheinternetmonster.com. I’m in and love that this challenge is taking us in a slightly different direction, but with same accountability and results-oriented! Thanks, Connie. Thanks for answering all the questions. I’m with you and the rest of the group for the next 21 days. Going back to last year to do a quick catch up. I’m in and very excited about the next 21 days. I will probably look at a hybrid of last year and this year since many of the pieces from last year are in place. I already know I eed to work on own products and teleseminars for last year. Thanks for doing this again this year Connie. Thanks for launching this Productivity Challenge! The timing is great, just coming back from NAMS. I will take a quick look through last year’s 21 Day Challenge too. I look forward to seeing the new items for this year’s challenge. Yesterday I omitted to include that my main niche site is at http://qualitycustomersatisfaction.com. However, my oldest website at http://mysuccesscircleonline.com is where I’ll be doing all book and product reviews from now on. Look forward to checking out websites of those who are participating in the challenge. Your timing was great for the 21 Day Challenge. I look forward to eliminating a high level of frustration with your organized approach to finding success. Thanks for the encouragement. Lane Anderson recently posted..What Causes Diabetes – A Surprise or Two? I’m in and ready to go. I intend to make this challenge one of my goals for the 21 days. My blog has recently been moved to this new theme, created by a friend of mine, and she is helping me tweak it and get my categories and other pages up and running. through this challenge, I plan to have my blog looking great at the end of the 21 days. Hello to everyone in this challenge too. I’m on board and reading 10X over the weekend. Will have my blog on Healthy Food and Diet building a list within the next 21 days. I am excited to be part of the 21 Day Productivity Challenge – thanks for doing this again in 2012. I’m going to be completing some of the activities from last year while doing the new tasks for this year. I downloaded 10X Rule to my tablet and started reading it. and I researched two pages full of key words to use in future blogs and Articles. Comments on the articles are always welcome. I’m in for this challenge Connie! Just downloading the 10X Rule now (had to use Kobo because of my location). I really enjoyed your Ask Connie teleseminar. Checked main blog stats and left a comment of my intention to participate on this blog. From Day 2: Downloaded Ryan Deiss’ report. Wrote one article and submitted to ezinearticles.com. Sent an email to my list that included two links to affiliate products.Working on other points. From Day 3: Wrote a blog post using a keyword phrase in title. Post appeared on Twitter, FB and LinkedIn. Visited two blogs of participants. Joined Stumble Upon. Working on other points. Have a good night! Submitted two articles to Ezine articles, wrote a new blog post with affiliate link, updated my profile on Pinterest to promote my site, and I’m reading The 10x Rule this weekend. Purchased the 10X Rule book and have been doing the exercises at the end of the chapters. Have the list of the thought leaders in my niche. Those that do not have a list – I have subscribed to their blog. Wrote an article today and submitted and will be doing another one in the morning. Blog post on my main blog scheduled for tomorrow. Joined Idea Marketers and submitted 3 of my articles there. Investigating paid forums in my niche. Already a member of the NAMS forum – and I plan to get more involved in it. I have already purchased 10X and I am reading it on my new Kindle that I just won! I will be writing about it by the end of the day (based on what I have read so far). I will also be reaching out to folks that have influenced me along the way and speaking with them. I will get two articles written before I go to bed this evening! Paul B. Taubman, II recently posted..What is PLR? Should I use it? Well, it looks like I’m coming into this a little late, but I plan to follow your steps. At least I can include some things I’ve already been doing in the last month. I’m also going to be working on my list building at the same time. Wish I could have met you at the last NAMs in August, but I’ll be there this coming August – so maybe then? I’m already a member of mynams and Lynn’s elite group at Clicknewz and I’ve been starting to network in some relevant groups at LinkedIn. Time to go download that book! This is an eye-opener! I never thought of using so many methods to promote my short report and there are still yet other methods! Thanks, Connie. I have to get caught up as I was working on other projects today. Signed up for the List Building Challenge as this is an area that I need work in. Looking forward to another productive day! I just want to say that I am extremely pleased to see everyone taking this challenge so seriously. I can speak from experience when I tell that you that taking action every day will make a huge difference in the level of success you are able to achieve. I am following, slowly but surely. I have written 3 articles and submitted them to Ezine for approval. I ordered the 10X book and should receive it in a few days. I am already on 2 forums and will start getting more involved there. I have set up 7 expert interviews, working on my report and will be taking some time to learn about teleseminars. Almost finished with my product outline too. Hope to be caught up by Friday. The learning curve is how to use all these different methods. Thanks for all you do and for taking us on this challenge. You are keeping me very motivated. Now, it’s a matter of finding time to do it all. Well I finally finished my product thanks to this challenge. 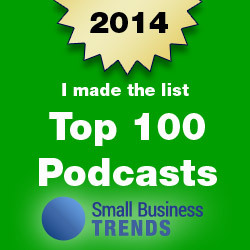 I actually started it after a webinar I co-hosted back in late November. Between demands of my full-time job and procrastination I just haven’t been able to get back to it. I use this challenge to give myself the sense of accountability and self-motivation I needed to push through and finish editing the product and writing the sales page. Since today’s Sunday, I’ll start promoting tomorrow. I actually would love feedback on the sales page is anyone is interested in sharing. Here it is: webcontentprofits.com. Great looking site, Sharon. Thanks so much for sharing it with us. Congratulations on your progress! Due to a serious illness between last year and this year, I have gone back and am doing a combination of the two challenges. I have almost finished the first 21 but also have done several of the second one. I am determined to finish even though the 21 days have passed. I’m gonna finish this. Connie, thanks for all you do to support me in creating an online presence. You inspire me. Great to have you aboard for the Productivity Challenge, Kristin. 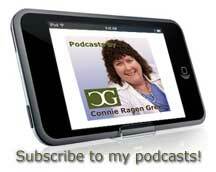 And thanks so much for your comment about my podcast series (available at no cost at http://connieragengreenpodcast.com). Yes, The 10X Rule is an excellent book to get started with. Connie, you have inspired me in a huge way! I just finished reading your book on affiliate marketing and have found some wonderful ideas. Next is your “tiny list” book. I will join the challenge. Better late than never. So wonderful to have you aboard. Thank you for your kind words about my books. Started the 21 day challenge yesterday. Finished reading the 10X Rule book today and have posted a review at my blog http://www.bruceahoover.com. Bruce – so glad you’re aboard. This program has proved extremely valuable to many people.